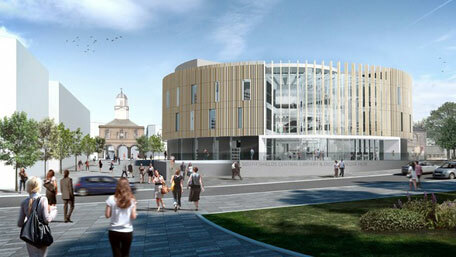 South Tyneside Council has given the go ahead for a new eye-catching library and digital media centre as part of a regeneration plan for South Shields. ITV News reports: The Council and its development partner Muse Developments are due to start work on site in 2015. The new building, which will have three floors plus a roof level, will include a library, flexible meeting rooms, exhibition space, an open zone IT suite, a ground floor cafe and a rooftop restaurant. Further consultation with local businesses will take place before construction begins.